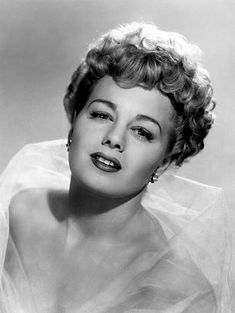 Let’s all take a moment to remember Shelley Winters. Shelley was born Shirley Schrift in St. Louis, Missouri. She became a big star, who won not one but two Oscars. And she was a hot tomato and a sharp cookie to boot. Back in the 1980s, a director wanted her for a movie, but insisted that she read for the part. Fine, she said. She arrived at the reading with a backpack. She sat down and removed from the backpack: 1) a copy of the script; 2) an Oscar, which she put on the floor to the left of her; 3) an Oscar, which she put on the floor to the right of her. Shelley went to Italy to film a movie, and asked a writer friend to housesit for her. After being in Italy for a week or so, she realized with horror that she hadn’t given her friend instructions on what to do with the garbage (the local rules were very strict). She called her house, and a strange man (with a strangely familiar voice) answered. “Is George there?” Shelley asked. And Shelley thanked him, and hung up the phone. Guess who the strange man was? Shelley Winters made Richard Nixon take out her trash, and then made him hose off the sidewalk.